It’s that time of year again - last minute Halloween costumes. This year, we teamed up with Olinselot to bring you the Fat Ninja Prank. For a limited time, Olinselot fans can get 20% off any purchase when they apply the coupon code olinselot at checkout. We'll also offer free 2-3 day shipping on orders over $100! You've been putting off deciding on what to dress up as for Halloween because you can't justify spending a lot of money for something you'll only wear for a few hours of enjoyment. Or maybe you need something more practical or appropriate for a work setting. Look no further. We've put together some cheap, easy, last-minute costumes. Most of them won't require you to purchase anything extra. And that's what we love about this list! First up on the list is recreating the Fat Ninja. Of course you can be any body type. The concept is simple: dress in all black. We recommend using some lightweight black thermals. Thermals can be purchased in different thickness and material type to coincide with your activity level & temperature. You may already have thermals on hand. If not, use the olinselot coupon code to pick up a pair. These will be useful for all cold weather activities this season. In addition to thermals, you will need a mask of some sort. A ski mask or balaclava should work well for this. 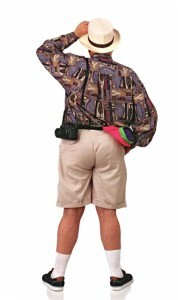 We've all been on vacation and seen that one person that is obviously a tourist! If you haven't, there's a good chance you are that one person. Picture that person, and dress up like them. Basics should include: Polo, button-up shirt, or hawaiian shirt; khakis or shorts; tube socks with flip-flops or sandals; and accessories (sunscreen on the nose, sunglasses, hat, camera, etc). Dressing up as a local pizza delivery guy gives you a solid excuse to carry around a pizza (not that you need an excuse). Some of you may still have old uniforms from the time that you actually worked at a pizza place. If not, take an old shirt, write PIZZA on it with a marker. 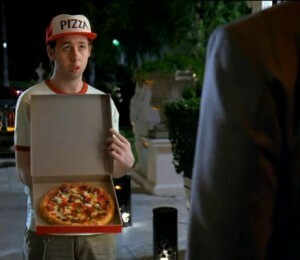 You may remember the DiGiorno Pizza - Fake Pizza Delivery commercial . We can't promise you'll get in to the party of the year with this costume - but let us know if you do. 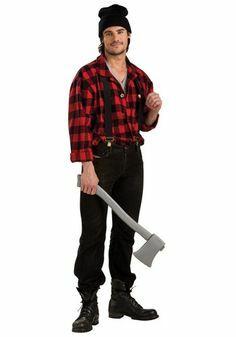 Flannel, jeans, and an axe are probably the first things to come to mind when thinking of a lumberjack. Feel free to have some fun with it though. Bring a stack of flapjacks with you. Dress your dog up as a big blue ox! Or take it a different route. Put on some red long johns and go as the off-duty lumberjack or lumberjack after-hours. Anyone that has carry-on luggage can complete this costume easily. All you need is a professional suit or blouse & skirt. For additional accessories you can pass out bags of pretzels or walk around showing people how to put on a mask or buckle their seat belt. The best part of the carry-on luggage is it makes it easy to carry around your trick-or-treat candy. Forrest Gump is a classic movie. Therefore, this is an easy, classic costume. You could go with a more classic Gump look with a plaid shirt, neatly tucked in under a light colored suit, and holding a box of chocolates. 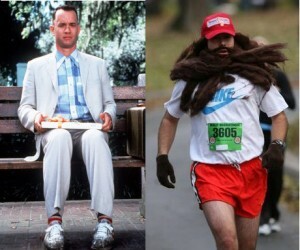 Or go the shaggy, running Forrest with some short-shorts, t-shirt, and hat. To pull this off you'll either need to make a big shaggy beard (re-purpose an old wig) or have already been growing one for a long time. You'll need a cheap, sloppy suit, sunglasses, and a walking stick. This would be very similar to a ninja costume mentioned earlier, however, your mask should cover your eyes and nose. Another good use for red union suit long johns is as a base for your superhero costume. You'll need a red mask to complete the look. 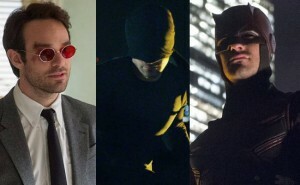 With any superhero you have the option of going as the hero or the alter-ego. The same goes with The Flash. You can go as Barry Allen - a young police forensic investigator. This one will allow you to dress in very casual clothes. But you'll probably have to explain your costume to most people. 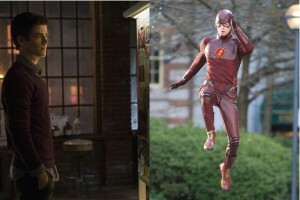 Or you can transform the red union suit into The Flash. Cut out some yellow lightning bolts and put on a red mask and you'll be well on your way to being the fastest man alive (or at least looking like him). 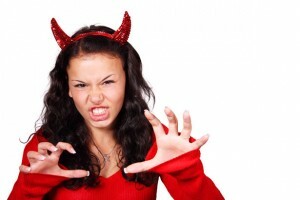 Yet another purpose for the red long johns would be the classic devil costume. Horns and some red face paint should complete the look nicely. This costume is perfect for the tech nerds and computer geeks that have waited until the last minute. We've all clicked on our favorite bookmark or link only to find the message 404 - Page Not Found error. 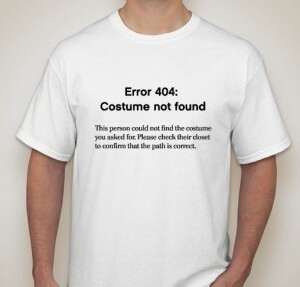 Use a similar message on your own shirt to indicate you couldn't find your own costume. You can either use a black marker to write on a white shirt, or print the message out and tape it to your shirt.